A music video can make or break your relationship with a song. Like most, I tend to attach personal memories to songs, so if an artist’s video is good enough to rival those memories of freestyling with friends in my parent&apos;s basement or that time my car engine died in the middle of a snowstorm, my brain is second-guessing itself as to whether or not my version is as good as the one on-screen. 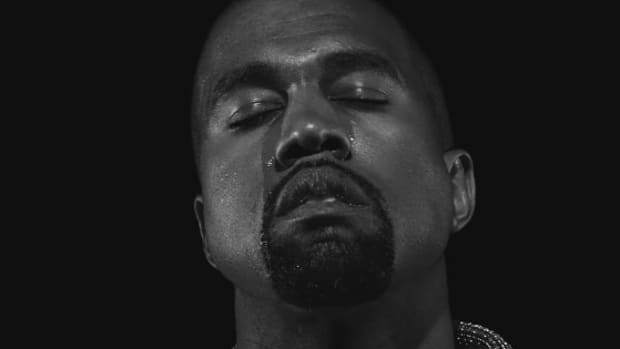 In 2005, back when videos lived and breathed on BET’s 106 & Park, it was the striking, black-and-white animated video for Kanye West’s “Heard ‘Em Say” that upended my mental pictures with an achingly personal story. Each individual frame in the video—Kanye sought out pencil sketch artist Bill Plympton to co-direct—pops with the same urgency and detail Ye kicked in his rhymes. I felt he and Aunt Pam’s regret when his little cousin reaches for the pack of cigarettes next to him in the car like I had known him my entire life at that moment. Until that point, 13-year-old me had never seen any rapper heavily invest themselves into something so raw on 106 & Park; a snapshot stained with cigarette burns and coffee rings. It wasn’t the first time Kanye brought his artistic vision to life in video form (he co-directed the video for “Jesus Walks” with Coodie and Chike) and it wouldn’t be the last (“Runaway,” anyone? ), but that level of transparency didn’t stay on TV for long. YouTube was also created in 2005, a platform that would eventually come to be the standard for how we watch and share videos. Competition turned stiff, resulting in once-standard music video shows like 106 and MTV’s Total Request Live becoming shells of their former selves before fizzling out over the course of the next decade. Labels and insiders began to believe that the music video didn’t serve a purpose anymore; why pay Hype Williams millions of dollars to make what’s essentially an ad for something people aren’t gonna buy? For starters, the answers are creative expression and sheer drive. 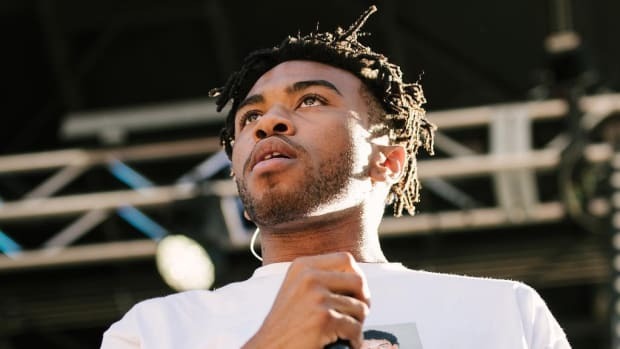 As more artists decided to sidestep the major label machine entirely, finding ways to generate income to bankroll their visuals, we began to see the rise of the “personal music video,” a concept that I loosely associate these days with two artists in particular—Tyler, The Creator, and Kevin Abstract. 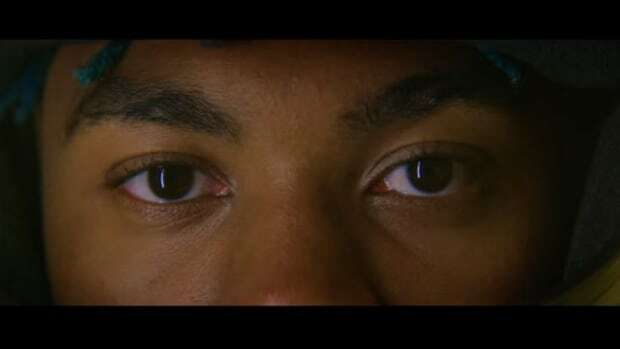 When I first laid eyes on Tyler’s “Yonkers” video as a sophomore in college, I felt that same personal energy that was flowing through “Heard ‘Em Say,” albeit on a different emotional spectrum. In hindsight, the song was crass and more than a little juvenile, but unbroken shots of Tyler talking to his invisible therapist while eating a roach and eyes boring into your soul before hanging himself is a striking image of someone constantly playing with the media’s perception of him. It was a spectacle, but it was a personal spectacle. “Yonkers” was Tyler’s third self-directed video under his Wolf Haley alias—he and Taco Bennett co-directed the videos for “French” and “VCR” a year earlier—no doubt following in the footsteps of his idol Kanye. It quickly generated millions of views, expanding Tyler’s already sizable Odd Future army into a force ready to throw down cash for world tours, designer socks, and cat snapbacks. Tyler’s personal message got him off his grandmother’s floor and he never looked back. 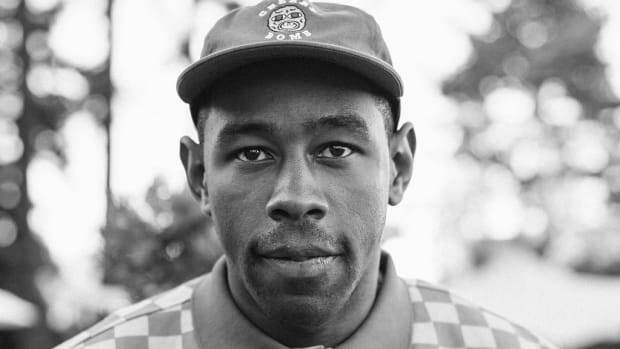 Since then, Tyler’s directed several videos (including some for Earl Sweatshirt, Trash Talk and D.A) and has pushed his increasingly twee sensibilities to Hype Williams levels of influence across the internet. Tyler, like Kanye before him, has inspired a generation to think outside the boxes of genres or even mediums, dipping his toes into the worlds of film, fashion, and television. 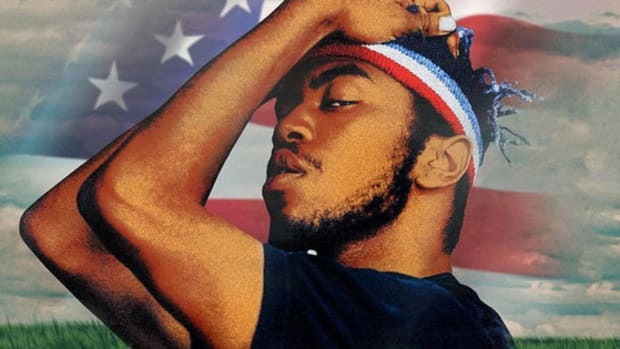 His ambitions have galvanized many fans, including Texas buzzmaker Kevin Abstract. Abstract, born Ian Simpson, was an avid movie watcher as a kid and loved to behold characters that, like him, were vulnerable. 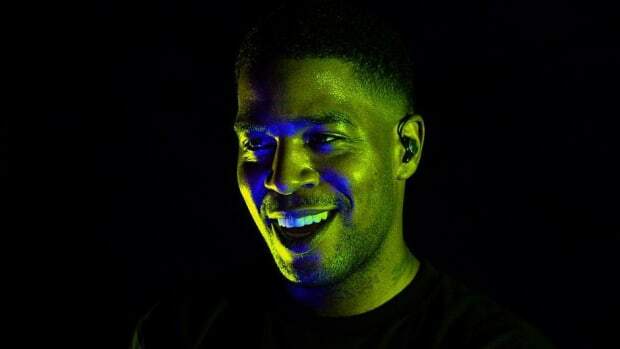 For 12-year-old Kevin, Kanye’s “Love Lockdown” and Kid Cudi’s “Day ‘n Nite” were the intersection where vulnerable characters and rap music met. But it was the video for Tyler’s “She” that inspired Kevin to actually merge his love of filmmaking and music together. Videos filmed at the grocery store eventually gave way to more professional efforts like “Cannon,” a product of his BROCKHAMPTON collective who all met on—wait for it—the KanyeToThe forum. 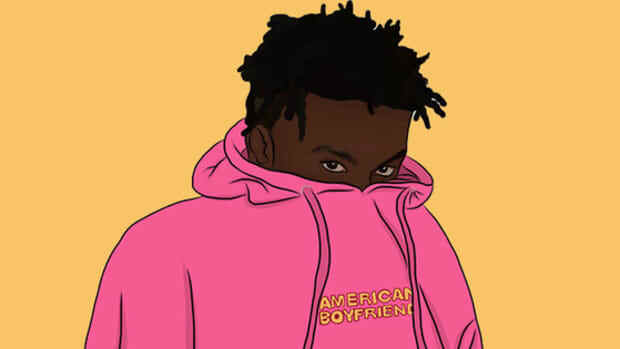 Released at the end of 2016, Kevin’s American Boyfriend album has birthed self-directed videos for standout selections “Empty” and “Runner,” the first of which revealed his bisexuality to the world (and proved his prowess as a director). Even his parents found out through watching the video. The same visual spark I fell in love with over a decade prior returned while watching “Empty,” the tragic adventures of Helmet Boy playing out on my laptop while leading Kevin to land his first solo cross-country tour. Of course, Tyler and Kevin aren’t the only artists pushing their creative visions through video, big or small. 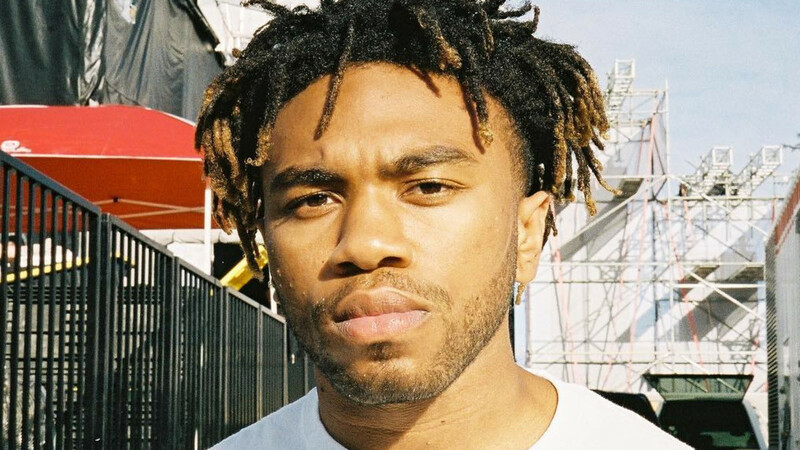 Donald Glover’s visual journey through his 2013 album Because The Internet started with a 73-page screenplay and mini-movie collage and ended with increasingly surreal music videos, while Vince Staples documented the inner turmoil of his Prima Donna EP with a self-penned short film. Whether we’re talking about artists as big as Kanye or smaller, underground independents like Kemba, Wiki or Junglepussy, chances are you’re catching their creative vision somewhere on the internet. The personal music video is alive and well, it’s lineage forever documented through film.